Spooky fun and full of delight, the Hotels of the Disneyland Resort have terrifyingly tasty treats, amazing displays and ghostly entertainment, all sure-fire ways to extend the Halloween Time experience, before, during or after a great day at the parks. 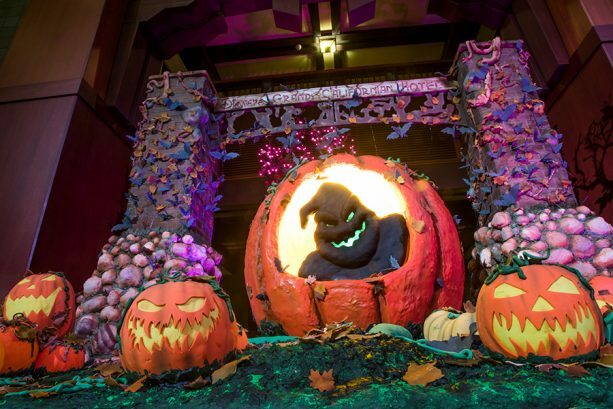 Enjoy the Spook-tacular Seasonal Decor: In the lobby of Disney’s Grand Californian Hotel & Spa is a “spook-tacular” edible display of Halloween pumpkins. 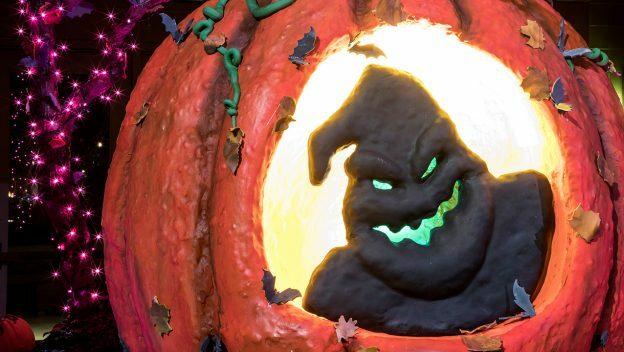 These pumpkins take a ghoulish form with Oogie Boogie, and are built from cereal treats, icing, chocolate, and fondant. Our talented pastry chefs used over 200 pounds of icing, 100 pounds of chocolate, and 300 pounds of fondant to create these incredible pumpkins. See if you can find the 13 Hidden Mickeys throughout the display! Also during Halloween Time, experience ghoulish décor surrounding the Disneyland Hotel and discover the swashbuckler in you at the pirate-themed Disney’s Paradise Pier Hotel. 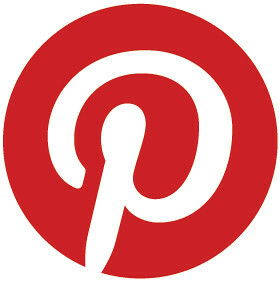 The pirates have hoisted the Jolly Roger flag in the lobby, calling all buccaneers for fun at “Pirates Pier”! Exclusive Trick-or-Treating for Hotel Guests: On select afternoons from October 2 through October 31, overnight guests of the Hotels of the Disneyland Resort are invited to drop in for a howling good time and exclusive, complimentary trick-or-treat festivities. Together, Disney’s Grand Californian Hotel & Spa, the Disneyland Hotel, and Disney’s Paradise Pier Hotel will have a treat map of locations, so little ghosts and goblins (and their parents) can visit all three hotels. 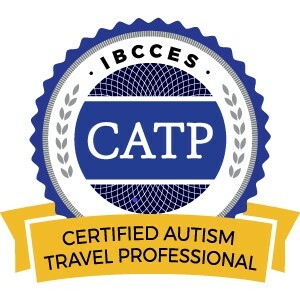 The hotels are offering activities such as coloring pages, bat mask decorating and create-your-own pirate hat. Cookie decorating kits are also available for a fee. Hotel guests are encouraged to sign up at the Guest Services desk. Surprise Your Family With an In-Room Pumpkin Bucket: Plan a Halloween-themed surprise with goodies delivered right to your Disneyland Resort hotel room. These Halloween Treats Pumpkin Buckets can be specially arranged with the magic-makers from Disney Floral & Gifts for your favorite ghost or goblin. 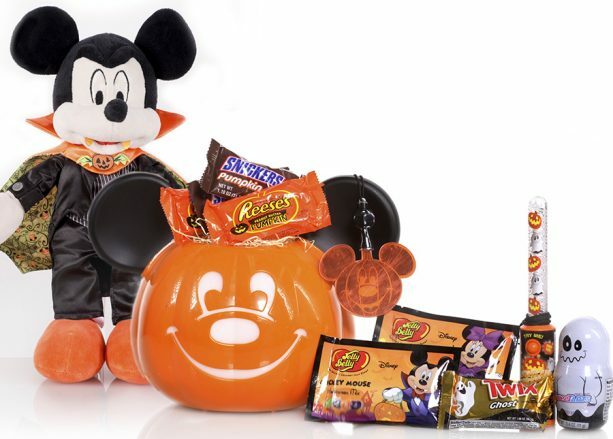 The amenity delivery starts with a light-up Mickey pumpkin bucket filled with ghostly treats with a one-of-a-kind Halloween-themed keepsake with a Mickey Mouse pumpkin light-up lanyard. 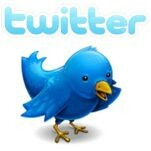 For more details, please call 714-781-4438 or visit www.DisneyFloralandGifts.com. Taste (and Photograph!) 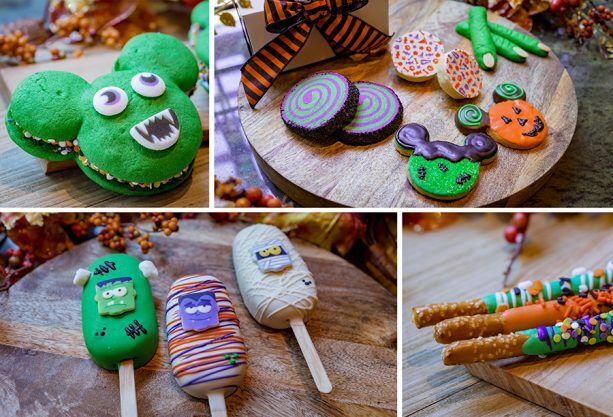 Yummy Halloween Treats: At Disney’s Grand Californian Hotel & Spa, you’ll find a holiday cart in the lobby serving up some scary and sweet Mickey-shaped cookies featuring iconic Halloween-inspired decorations. This cart is also serving up Halloween whoopie pies, jumbo cake pops, pretzel rods, a cookie box with Witch Finger cookies, and pumpkin pound cake. At The Coffee House at the Disneyland Hotel, you can find a chocolate Bat Cookie. Across all three hotels, the Red Poison Apple Glow Cube can be found at restaurant or quick service locations. The flavors of fall have arrived as well, with Pumpkin Spice Lattes at Surfside Lounge at Disney’s Paradise Pier Hotel and Pumpkin Muffins at The Coffee House at the Disneyland Hotel. This entry was posted in California, Disney, Disneyland Resort, United States and tagged Halloween Time, Hotels of the Disneyland Resort on September 24, 2018 by siera.